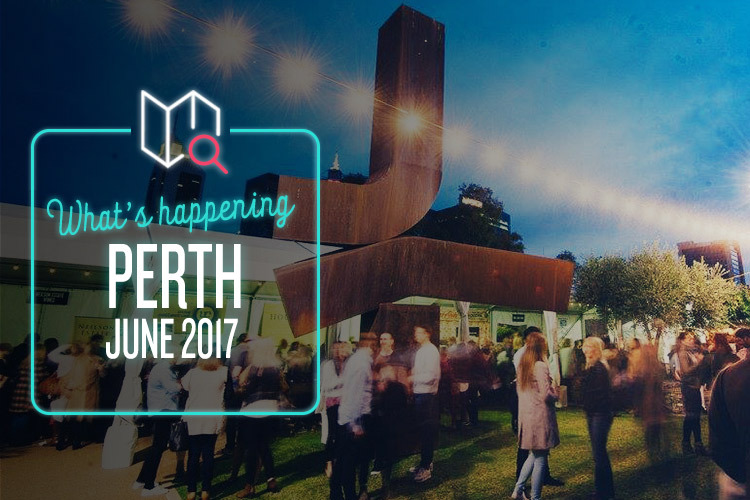 June rolls around but once a year in Perth, so it’s only sensible to make the most of it. You shouldn’t have any trouble doing that with these events – check ‘em out! Do you feel like it’s been far too long since you’ve been spun around at all directions at 50m in the air while gripping onto a handlebar for dear life? Then Carnival Fever is just the ticket. With the biggest rides on the west coast like Star Flyer (the one that spins around in circles really fast) and the Super Nova (the one that drops you from really high up) and heaps of others, the $25 entry fee buys you unlimited rides for the entire day. If you need a bit of a break/feel like you might puke, be sure to check out Zap Circus, the award-winning show featuring breath-taking stunts, death-defying feats, and fabulous costumes. WA has churned out some of the world’s best music acts over the years, even if we do say so ourselves. Just check these out for size: rock legends Karnivool, ARIA-winning Drapht, Jebediah’s own Bob Evans, old-school favourites Gyroscope, and Little Birdy’s Katy Steele. See what we mean? These guys will all be gracing the stage at this year’s SOTA Festival, alongside a killer line-up of other local acts. You’ll no doubt need to fuel to keep you going through all that rocking out, and you can find a mouth-watering selection of tasty eats via the international food trucks at Eat Street. Sorted! Ahhh, wine. Isn’t it one of the grapest things in life? Just di-vine. Where there’s a wine, there’s a way… what were we saying? Oh yes. City Wine is set to feature some of Western Australia’s top boutique wine producers like Happs, Juniper, Clown Fish, flying fish cove and many more. Basically, there will be a lot of good wine to sample, so if you love a locally grown drop, this is the place to be. Alongside all the vino, there will be delicious tapas-style dishes on offer from vendors like food&co, Saigon Eats, Las Empanadas, Two Queens, and Tapasman, as well as live music performances by a great selection of local artists. With superhero movies breaking box office records these days and fandom at an all-time high, it’s becoming increasingly clear that there’s an inner nerd inside all of us, and it’s time to embrace it. Supanova Pop Culture Expo brings together all things pop culture from comics, sci-fi, fantasy, anime, gaming, nostalgia and literature. This year, you can meet Back to the Future’s own Thomas F. Wilson (Biff Tannen) and Christopher Lloyd (Doc), or indulge your comic obsessions by chatting with artists Mike Grell (Green Lantern/Green Arrow, Jon Sable), Whilce Portacio (The Punisher, X-Factor and co-creator of X-Men’s Bishop) and David Yardin (Jean Grey, Extraordinary X-Men, Injustice: Gods Among Us). There’s stacks more on the line-up too, so check the website for full details.